We Start Now: Just like melodic progressive house should, this chunky upbeat upstart tastes fantastic. 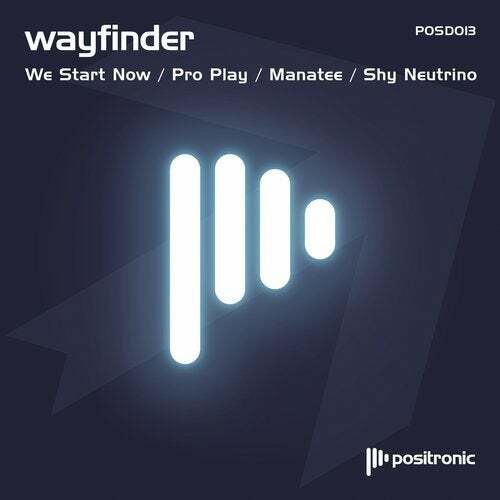 We Start Now is the perfect introduction to wayfinder's debut EP with catchy vox and a groove that just wont quit. Pro Play: Stepping up to hands-in-the-air trance this dance floor friendly tune will be a sure-fire future club classic. Manatee: An 80s infused progressive trance tune that develops beautifully into a lush and memorable story. Progressive at it's best. Shy Neutrino: With a soulful house flurry and understated beauty, you'll get lost in Shy Neutrino. A near eight minute epic voyage that will remind you why you first fell in love with the genre.